Location: Brixie's, 9526 W Ogden, Brookfield, Illinois, USA 60513. 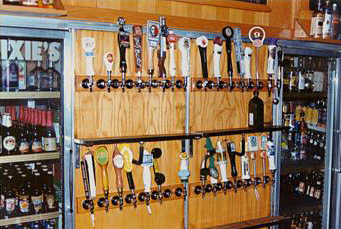 Back in the mid-90s there were quite a few locations in the west suburbs of Chicago that you could enjoy a beer and play the latest pins. 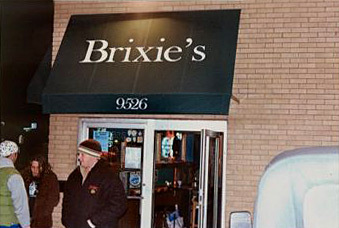 One of my favorites was Brixie's in Brookfield IL. They had two or three new pins by the front door for years. I put a lot of leisure time in playing such greats as NBA Fastbreak, Monster Bash and Revenge From Mars. While I couldn't get enough of playing them, I remember that the games kept getting better and better but interest from the bar patrons was low. It was a terrible surprise but I could see why Williams gave up on pinball. After Williams's exit from pinball in 1999, Brixie's went down to one new Stern pin for a while but removed them permanently (I thought) after the endless breakdowns of Monopoly in 2001. In the following years I stopped by from time to time hoping they had brought in a pin or two but there was always only an empty wall where the games once were. In mid-January I got a call from an old pinball friend Paul Streff, who is a longtime bartender at Brixie's. He informed me that pinball had returned to Brixie's. 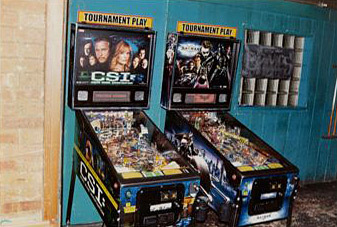 He said they now have the latest two pins from Stern - CSI and Batman - that they are perfectly maintained, and that a monthly cash payout tournament on both games was going on. I had given up hope on ever playing clean pins on location locally again, so this was big news. I went to Brixie's on 1-24-2009 to play CSI and Batman. 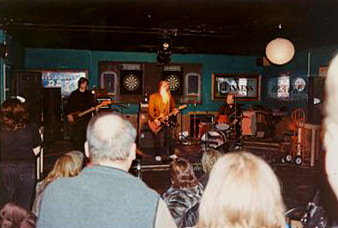 I found out that besides bringing back pins,they also have brought back live music to the bar. The place was packed. The pins are towards the back of the place now but they are clean and work perfectly. By pure luck, the pin operator Kevin Dabrowski and his wife Nora were there to hear the band. He told me the pins are from his personal pinball collection. He said he wanted to have somewhere local he could have some games on location. Some pin fans (myself included) complain about not being able to play quality pins on location anymore. Kevin actually put up his own money to get some new games out there for the general public to play. Kevin told me pins are there to stay. Games are rotated once in a while, Spiderman and Family Guy were there previously and there is also a chance more pins will be added, maybe even a classic game. If you are looking for some quality new pins to play in the Chicago area, Brixie's is the place to head to. It is located at 9526 W Ogden Ave. in Brookfield IL,about 1/3 of a mile east of LaGrange Road on the north side of the street. They are open very late every night and their website is www.brixies.com. The CSI has now been changed to a Family Guy and the Batman is due to be replaced by a Pirates Of The Caribbean in the near future.